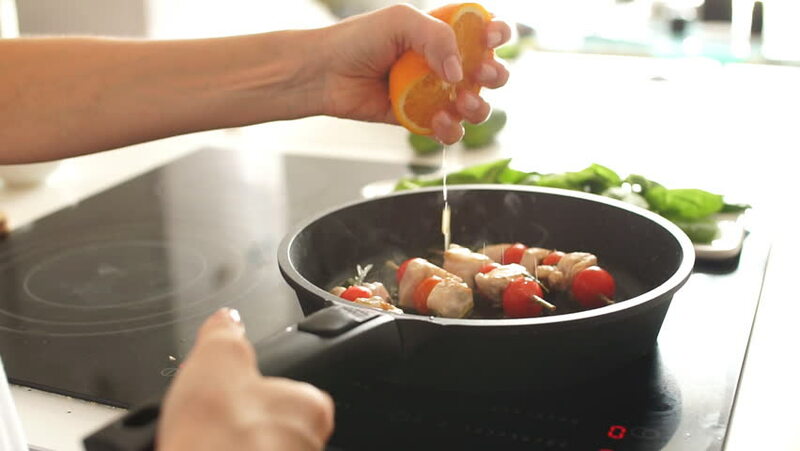 Cropped view of female hands squeezing the orange on the frying pan in at kitchen. 4k00:13Housewife mixing cottage cheese and corn in bowl. Frying pan with roasted chicken kebab standing on the stove. everything is ready for meeting husband for dinner. 4k00:09Pleasant young woman preparing dinner in a kitchen. Concept of healthy home cooking, culinary, healthy lifestyle. 4k00:11Pleasant young woman preparing dinner in a kitchen. Concept of healthy home cooking, culinary, healthy lifestyle.